As a teen I was adoring The Lord Of The Rings and everything that had to do with it. I spent hours in a chat only for lotr and created a character to play roleplays with. But how to call it? As it was an elv it had to be Elvish. Luckily i got a Sindarin dictionary (a must have at that time). I choose the word for rainbow 'cause it was unknown to most, not too smooth nor too difficult --> Ninniach. My first games a played with that name. But by time I thought it doesn't fit too well to certain types of games (like UT). So I was looking for the word rainbow in different languages until I found the Gaelic version of it --> Alanna was born. 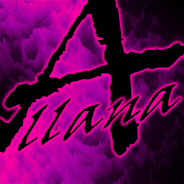 Later I changed the spelling to Allana 'cause its handier to type. As I just realised - my memory is cheating on me. There is absolutly no connection between Allana and rainbow - lol. Well, I like the sound of it and everyone can say it without problems . It comes up as Gaelic for Serenity. So you could be the name of the coolest spaceship ever to fly on TV? My name comes from my D&D days in my teens and relates to an extremely neurotic and psychotic dark paladin that was my favourite character at the time. Looking back now I was a seriously fucked up teenager with some bad, unresolved issues! Nothings really changed in the intervening years! I haven't had any other PC gaming names that I can remember at least. Wanted something cool sounding (which I think is a bit of a theme for most) and sounded a bit threatening for FPS games, decided something with Latin would do the job and after many hours of research, Soul Destroyer was born - or 'AnimusEradico' (possibly roughly translated). Though that does get shortened to 'Ani', which is a bit less threatening! Animus seems quite popular though so I have some variations of it for games if it's already taken.